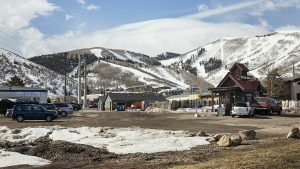 Vail Resorts on Tuesday secured one of the approvals needed before the company is allowed to build a gondola linking Park City Mountain Resort and Canyons Resort, clearing a panel in Summit County with little difficulty. The Snyderville Basin Planning Commission unanimously approved the section of the gondola that will be built in unincorporated Summit County. The gondola’s route through the approval process will now head to the Marsac Building. The gondola is the key part of an ambitious set of upgrades at PCMR and Canyons Resort as the Colorado company links the two properties into one resort. Called the Interconnect Gondola, it will carry eight people per car between a spot close to the bottom of the Silverlode lift at PCMR to the Flatiron lift at Canyons Resort. It will have a midstation unloading point atop Pine Cone Ridge as well. The Planning Commission in the Snyderville Basin on Tuesday discussed topics like the color of the gondola cars and whether they would be visible from points outside the resorts. The Vail Resorts team indicated the gondola cars will have a strip of red to match PCMR’s branding colors. The predominant color will be silver gray and the gondola cars will have non-reflective gray glass. Vail Resorts intends to build the gondola this summer in anticipation of an opening for the 2015-2016 ski season. It is the centerpiece of the company’s plans to spend more than $50 million on improvements this year as the two properties are linked into one. 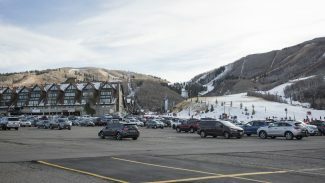 In an interview afterward, Blaise Carrig, the president of the mountain division at Vail Resorts, said the gondola route is visible from the Park Avenue post office and Meadows Drive. The gondola would be approximately 2.4 miles away from those locations, making it difficult for someone to see, Carrig said. 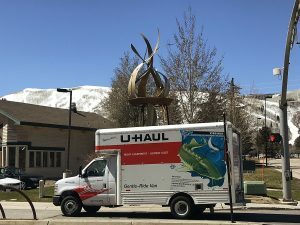 It seems that the Park City Planning Commission could press the visual issue more firmly than the panel in the Snyderville Basin since the gondola would be seen from points inside the city rather than from in the unincorporated area. 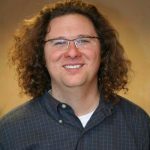 "We did a lot of work with good guidance from the planning staff," Carrig said in an interview, adding that an alignment was selected for the "least amount of visibility." The Vail Resorts side said there will be 27 towers along the route ranging in height from 18 feet tall to 61 feet tall. They would average approximately 38 feet tall. The Planning Commission discussed issues like traffic and parking. Carrig said the gondola is a form of transit, meaning that people could ride the gondola instead of driving. Chuck Klingenstein, a Planning Commissioner, said traffic must be addressed, but the gondola application was not the correct context for a discussion like that. Carrig acknowledged traffic is a broad concern, saying a gondola is a "first step" in combating traffic. He also mentioned that entertainment at the resort during busy days could stagger the times when people leave. Those who testified on Tuesday generally supported the gondola. One of the speakers, former Park City Councilman Alex Butwinski, said the gondola connection will improve Park City’s marketing and image. "It fits the vision of who we are," Butwinski said. Kirsten Whetstone, a City Hall planner, attended the meeting. She told the Planning Commission the Park City and Summit County staffs are working together on the gondola proposal. 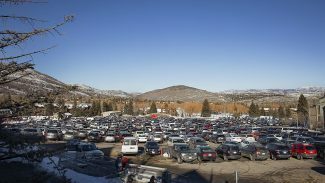 The Planning Commission in Park City is scheduled to consider the gondola at a meeting on Feb. 25. Another speaker inquired about trail closures this summer as the gondola is built. The Vail Resorts side said plans are being crafted to notify people about trail closures or rerouted trails during the work.